Regal Entertainment Inc., has recently released the full movie trailer of their latest romantic-comedy film starring Tom Rodriguez and Carla Abellana (TomCar). Following the success of their loveteam randem with last year's rom-com flick, "So It's You! ", "NBSB: No Boyfriend Since Birth" will give fans once again the love and "kilig" that they want to see on the big screen. Katrina Miranda (played by Carla Abellana) is a 26-year old "no boyfriend since birth" girl who stays single all her life because she is still madly in love with her high school crush. When a fortune teller told her that she will finally meet the guy of her dreams, she met not just one but two, Paolo (played by Mike Tan) and Carlo (played by Tom Rodriguez), her high school crush who comes back to become business partner with her. Who will win her heart? Will she finally meet her "the one"? NBSB: No Boyfriend Since Birth is movie helmed by director Jose Javier Reyes. The movie also stars Bangs Garcia, Mylene Dizon, Ricci Chan, Al Tantay, Arlene Muhlach and many more. 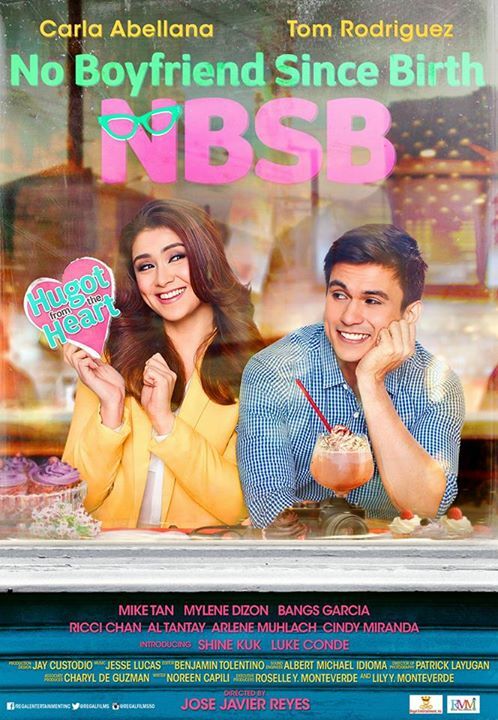 Below is the full movie trailer for NBSB: No Boyfriend Since Birth starring Tom Rodriguez and Carla Abellana. The movie is scheduled to be released on November 11, 2015 in cinemas, nationwide! Enjoy!